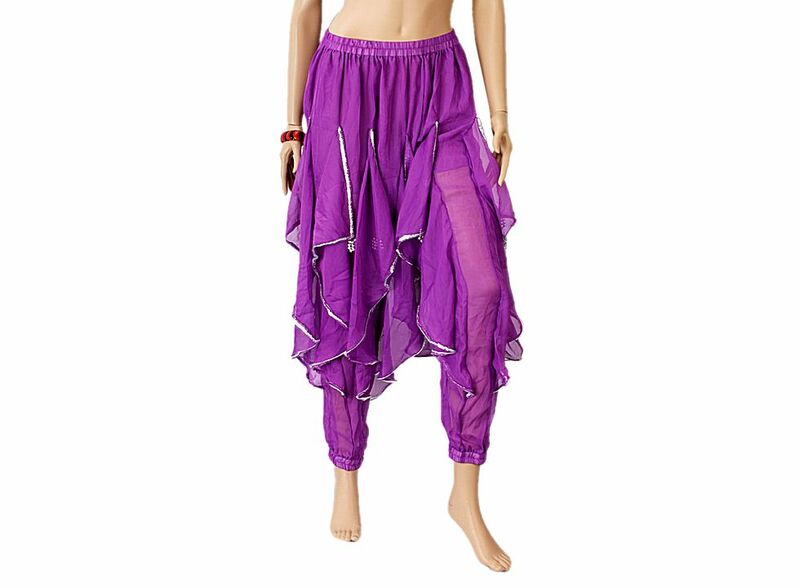 Excellent Silver Wave Sequins Belly Dance Bloomers Chiffon Pants Purple F00599, Buy at lowest prices. 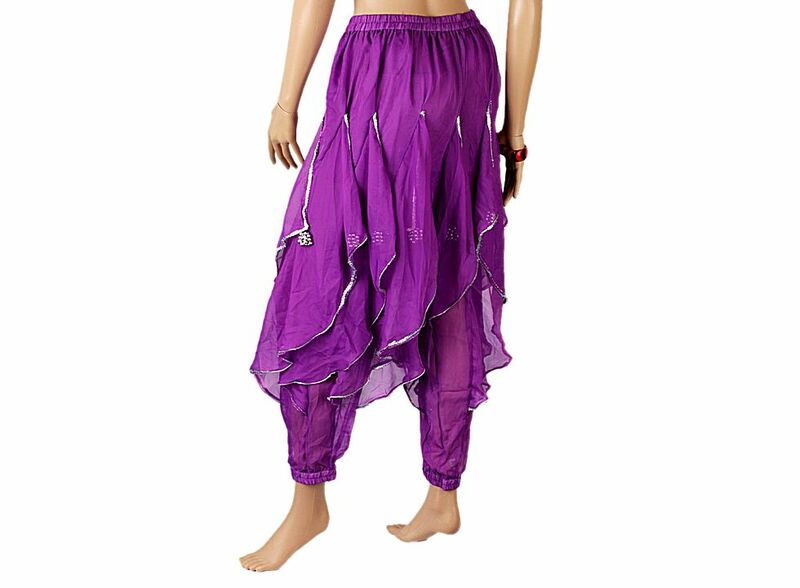 This Excellent Belly Dance Bloomers Chiffon Pants Silver Wave Sequins Purple is simple and special. You can match the Belly Dance Costume Pants with many kinds of dancing costume . Soft and comfortable to wear is the feature of our Belly Dance Pants. 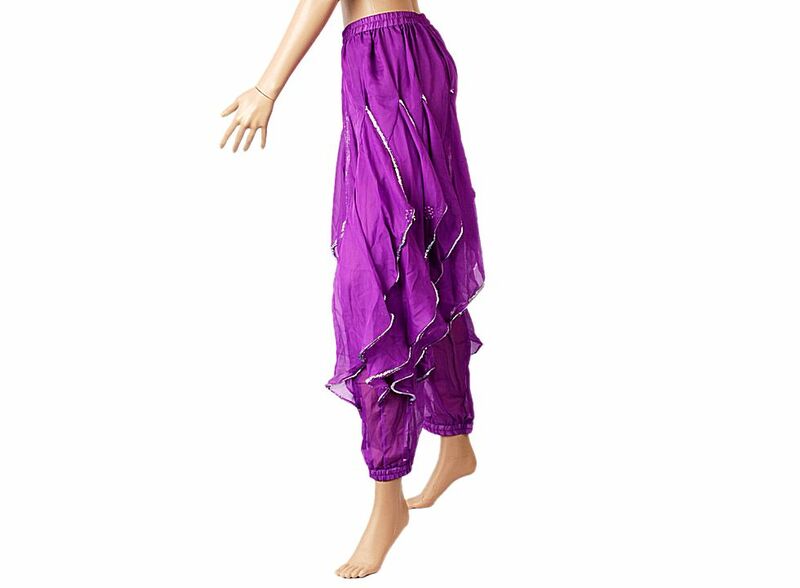 Enjoy and feel the glamour as you twirl and whirl in this Belly Dance Pants Costume . Professional belly dance bloomers for peopel waistline is in 27 - 39 inch. Sheer and elegant edge float as your twirl and whirl. Decorated with silver wave sequins and edge. With a underwear liner for preventing out. A necssary bloomers for belly dance lover.